The whole idea of connected health – sensors, fitness trackers, and smart gadgets telling users when to exercise or to drink water – has been growing increasingly popular among big-name companies and small startups alike. Google and Apple are investing in the development of their own ecosystems to integrate with iOS and Android health and fitness applications. Healthcare APIs allow developers to seamlessly integrate their health applications with individual devices and entire ecosystems, which safely stores and accesses health data. But are APIs integrated in medical apps truly welcomed by hospitals and healthcare professionals? Today’s healthcare networks typically use their own EHR (electronic health record) systems that are incompatible with the record systems of other networks and do not allow for the simple exchange of health data among doctors and facilities. The American Recovery and Reinvestment Act of 2009 included a requirement that US healthcare providers enable their patients to view, download, and transmit their health data to third parties – other hospital chains, insurance companies and research facilities. Laws of European Union also restrict third-party healthcare app development to a number of trusted APIs and platforms. To work with healthcare software, these platforms have to prove their compliance with strict security regulations. 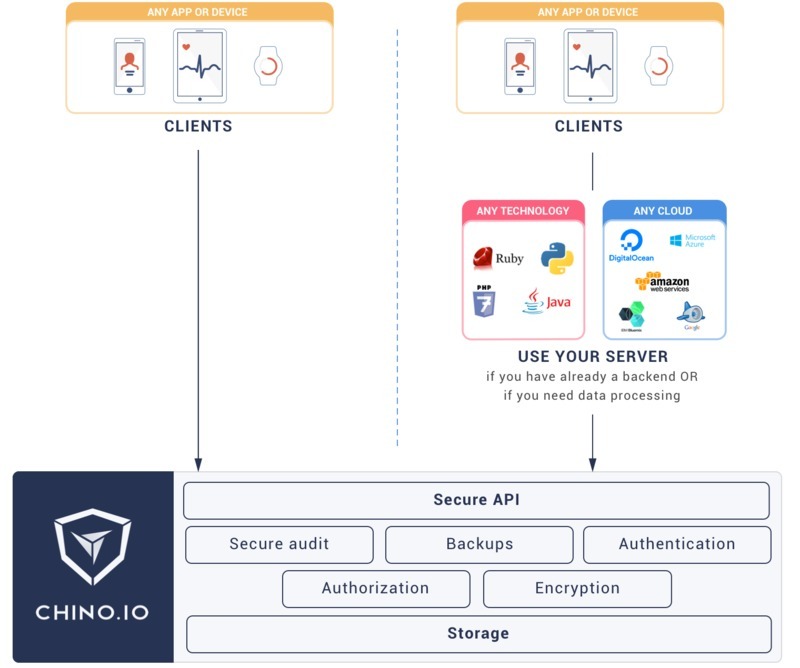 For instance, Chino.io is one of the platforms that promises necessary level of security for healthcare enterprise and developers who want to develop software for European Union hospitals. Chino.io comply with the current EU and member states’ data protection laws, and security standards for healthcare. They also promise to provide software quality certification according to security standards ISO 9001 & 27001, supporting the certification of medical grade software and devices. More and more companies among software developers and healthcare networks realise that healthcare API can be very beneficial for them. How? How can healthcare APIs be used? For patients, it means more control over their health data. APIs can allow patients to provide health records to new facilities without going through receptionists and making unnecessary phone calls. Patients can also benefit from the integration of fitness trackers and other smart devices with EHR systems because these devices can add more data to their charts and assist with diagnosis and treatment. For hospitals, it means an opportunity to improve the usability of electronic health records with the assistance of third-party software for clinicians. With APIs, doctors can finally know that all patient history is consolidated in one place and is easy to access. APIs like Drchrono also help doctors bill patients and manage appointments. For researchers, it means more viable data. Clinical trials often fail to produce conclusive results because the pool of patients who participate is too small. Health APIs can allow research companies to access lots of data about patients with a particular diagnosis. These data can be anonymised, so participants can preserve their privacy while at the same time giving scientists vital information. Platforms like GluVue, which accumulate and analyze medical data related to serious chronic conditions like diabetes, are built using APIs and provide doctors with valuable large datasets. What challenges does a successful healthcare API have to overcome? 1. Security and privacy concerns. We all want to be absolutely sure that details of our medical histories remain private and can only be accessed by doctors and insurance companies. Most countries have their own set of laws protecting citizens’ health data: HIPAA in the US, the Personal Information Protection and Electronic Documents Act in Canada, the Data Protection Act in the UK and Spain, and the European Union Data Protection Directive, for instance. All of these acts regulate who has access to what is known as PHI – personal health information – and how this information must be managed and protected. Software developers are constantly looking for solutions that would allow for safe storage and exchange of health data among networks, facilities, and patients. Technologies that may help with the secure exchange of medical data include blockchain technologies and a number of encryption protocols that are compliant with government security standards (in the US, the FIPS (Federal Information Process Standard) 140-2 encryption standard). 2. Making sure APIs have access to healthcare databases. In some countries the healthcare industry still doesn’t rely on electronic records, while in other countries – like the US – the industry itself is fragmented because of how private hospital networks and insurance companies operate. Whether electronic records do not yet exist or are present but fragmented, it is crucial to figure out a way to aggregate healthcare information or facilitate the creation of databases so that hospital workers and patients themselves can enter and access necessary data. 3. Providing developers with exhaustive API documentation. Quite often, poor documentation stands in the way of an API’s adoption. Providing well-written developer guides will ensure that hospital IT departments and app development companies are equally willing to integrate their services with your healthcare API. It never hurts to study the competition, so we also looked into a number of existing APIs that are commonly integrated with healthcare apps and researched how they can be used. We also asked our Yalantis developers how easy these solutions are to use. Box is an easy-to-use service that allows you to securely manage your files. This service can be integrated with healthcare apps to store and share documents such as medical records, test results, and prescriptions. Box offers an API as well as web and mobile SDKs, so it can be used with a wide number of languages and operating systems, including Java, .NET, Node.js, Python, Ruby, Chrome, iOS, Android, and Windows. What our developers say:the Box SDK is pretty simple and easy to implement. 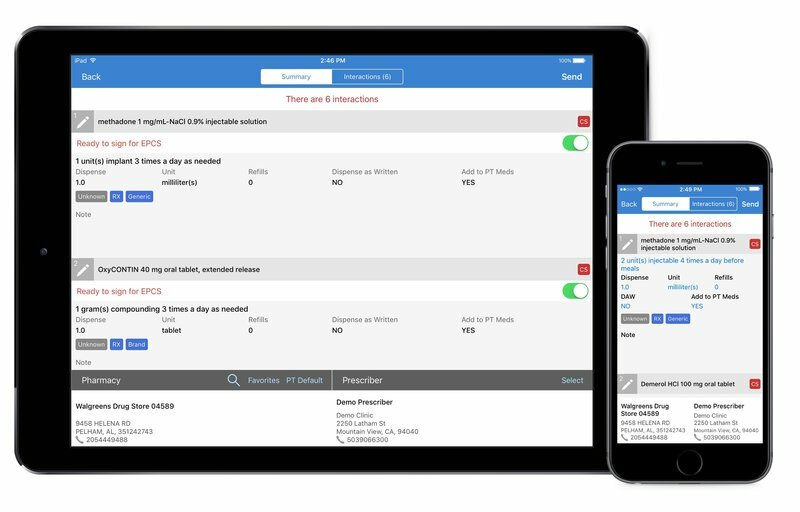 It consists of several medical and wellness blocks and offers plenty of useful features like managing patient profiles, reviewing prescriptions, storing test results, and providing access to vitals. Human API even organised their own hackathon for healthcare applications. What our developers say:The Human API offers well-written documentation and comprehensive guides for web, iOS, and Android development. It's helpful in locating and choosing healthcare professionals, helping patients learn more about their doctors and make informed decisions when picking a healthcare provider. What our developers say:The BetterDoctor API documentation is comprehensive, so developers can start using it in a new or existing project without undue effort. Doximity works alongside healthcare platforms that connect patients and doctors, running background checks on doctors who register with a platform. Running doctor background checks seems like a challenging task, but Doximity’s API is able to retrieve full information about doctors and their practices, and can even show a list of their colleagues. What our developers say:The documentation for developers is a bit short, but is enough to let you immediately start implementing functionality. It allows developers to build a platform that lets doctors access information about their colleagues and patients, review clinical notes, manage prescriptions, and read and respond to messages in their doctor’s messaging center. What our developers say:Though quite useful in general, Drchrono is somewhat limited compared to its competitors as it only offers an API and SDK for iOS. As a growing number of healthcare providers, insurance companies, and individual patients find new uses for web and mobile applications, healthcare APIs play an increasingly important role in improving doctor–patient relationships, keeping patients informed, and helping healthcare providers cooperate and exchange information. Developing a medical API is challenging, but there is a strong demand in the connected health market both for APIs for storing and exchanging medical data and for apps that integrate with these APIs.